Tom Holland attends the 'Spider-Man: Homecoming' press conference at Conrad Seoul Hotel on July 3, 2017 in Seoul, South Korea. Sony and Marvel have released the first teaser trailer for "Spider-Man: Far From Home." The film is a sequel to "Spider-Man: Homecoming" and will be set after Marvel's "Avengers: Endgame." 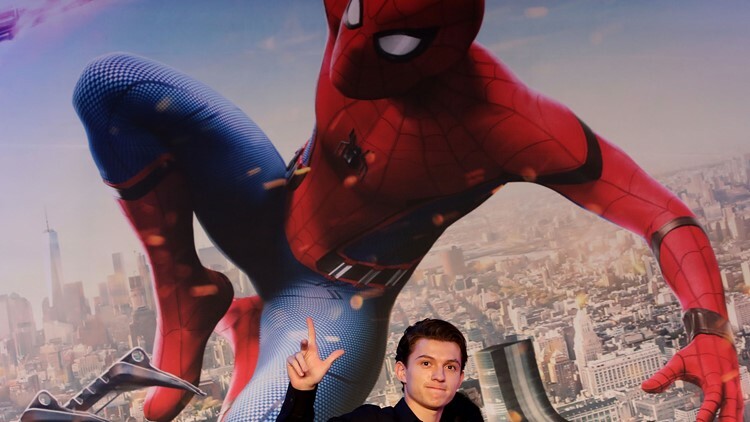 Tom Holland, who plays Peter Parker, debuted the trailer live on Instagram Tuesday morning, after a fan posted on Twitter about how much they wanted to see it. A trailer was originally set to be released during Brazil's Comic Con in December 2018, but it was delayed. The trailer showed Peter Parker traveling to Europe with his classmates, attempting to be a regular teen. This doesn't last long, as Nick Fury shows up to give him a special mission. A few villains show up in the trailer. Most notable is Jake Gyllenhaal as Mysterio. Gyllenhaal revealed he'd be playing the villain on Instagram in December, but it's still unclear what Mysterio will be up to in the movie. Hydro-man and Sandman are also seen in the trailer. Fans also get a glimpse of Peter Parker's new Spidey suits in the trailer. In the new film, he will get a black "stealth suit," as well as a red and black one. "Spider-Man: Far From Home" will be Marvel's first movie set after the events of "Avengers: Endgame," which will be released April 26, 2019. The Spider-Man trailer's release is notable, as both Peter Parker and Nick Fury were vaporized along with half of all living creatures by Thanos at the end of "Avengers: Infinity War." Seeing them both in the "Spider-Man: Far From Home" trailer indicates that Spider-Man and other characters might be resurrected in "Avengers: Endgame." Black Panther, portrayed by Chadwick Boseman, was also vaporized in "Infinity War," but a sequel to his film is scheduled to begin shooting late 2019. "Spider-Man: Far from Home" will be released in theaters on July 5, 2019. The film is directed by John Watts.Watch the trailer here.